-Fifty-eight percent say they love or like reading books for fun. -Fifty-two percent agree reading books for fun is extremely or very important. -More kids want books that make them laugh (up 10 points to 52%), help them explore new worlds (up nine points to 40%) and become familiar with new topics (up seven points to 26%). 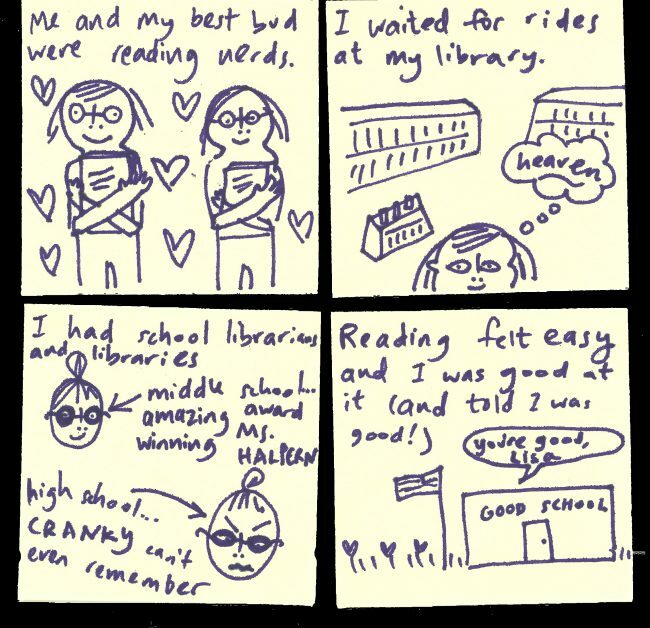 This made me think about what kind of reader I was, and what elements supported me becoming a voracious reader. Mainly, I had access to books, was encouraged to read, was rewarded for being a reader, and saw myself in books. 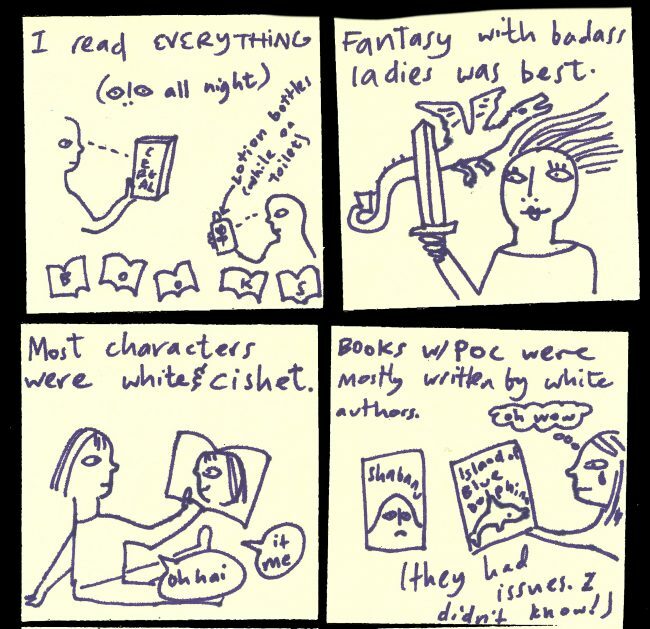 Here are some reflections on post-its.